Our beautiful Butterflies of the World has always been an extremely popular title. Now it has a companion which uses the same graphic design, resulting in a visually striking matched set. 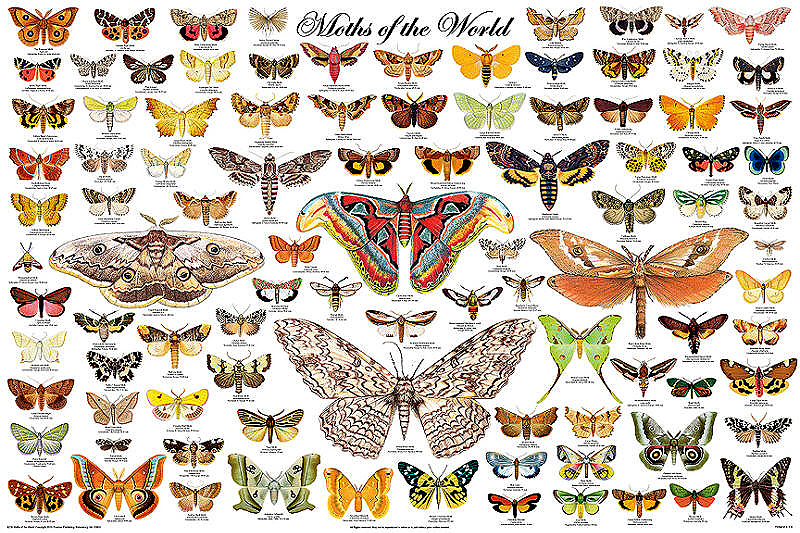 The Lepidoptera order / clade contains the butterflies and moths. There are over 180,000 known species. In general, butterflies fly during the day and moths fly at night. The most obvious physical difference between them is the feelers, or antennae. Most butterflies have thin slender filamentous ones which are club-shaped at the end. Moths, on the other hand, often have comb-like or feathery antennae, or ones that are filamentous and unclubbed.